We are engaged in offering Disposable Hand Gloves to our clients. These gloves are used extensively by our esteemed clients of international market and received their accolades for better performance and durability. Our Gloves are manufactured with advance machines and numbers of polymers have been used in it. These are HM-HDPE, LDPE, EVA, polypropylene and non-woven plastic to ensure product quality for longer duration. 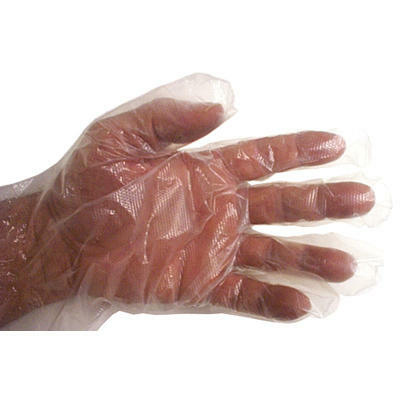 The Disposable hand gloves also come with an option of sterilization. We offer various sizes, width and packing. We are indulged in offering Plastic Hand Gloves to our clients by using advanced machines and variety of polymers such as HM-HDPE, LDPE, EVA, polypropylene and non woven plastic. They are available with an option of sterilization according to the demand of customers. Moreover they are available in different sizes, thickness and packing.